Clyde services mainly Craigendoran - Dunoon - Rothesay. 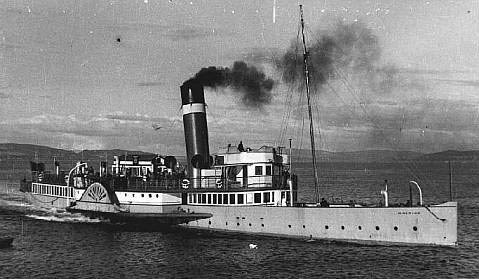 1939 requisitioned as auxiliary minesweeper. Made 3 trips Dunkirk to Dover in May/June 1940 bringing back 745 troops. Wrecked by an air attack off Harwich on 9 April 1941, refloated and broken up at Grays, Essex in August 1941.